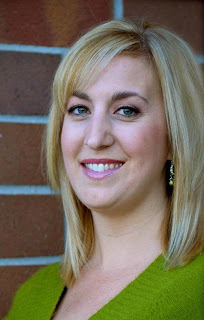 Christian Bookshelf Reviews: Interview & Giveaway: Amber Garza ~ Author of Prowl!! Interview & Giveaway: Amber Garza ~ Author of Prowl!! Welcome to Christian Bookshelf Reviews, Amber! Will you tell us a little about yourself? Hi! My name is Amber Garza and I live in Folsom, California with my husband and two children. I work in outreach at Lakeside Church. My favorite thing to do is read and write. My goal with my novels is to write books full of suspense that entertain, but ultimately give the reader a sense of hope and truth. It’s a young adult thriller about a seventeen-year-old girl named Mackenzie Smith who lives in Washington with her mom. When she is sent to her grandma’s house in Folsom, California for the summer she is fully prepared for the longest, most boring three months of her life. But then she meets Wesley. He tells her exactly what she wants to hear and has information about her past no one else knows. It’s almost like he can read her mind. I’ve loved the written word since I was a little girl and used to make books out of paper and staples. My imagination has always worked overtime, creating people and worlds in my mind. Recently, I found a paper I wrote in second grade stating that I wanted to be a famous author when I grew up. I honestly can’t remember a time when I didn’t love to read and write. Five. My favorite is “Engraved.” It’s an adult suspense novel scheduled for release in summer 2012. The novel mirrors my own story of redemption, so it’s very close to my heart. Where do you get your information and/or ideas for your books? Most of them stem from a personal experience and then grow from there. What would you say is the best and/or worst part about being a writer? The best part is creating characters, plots and worlds in my mind. There’s nothing more exciting to me then sitting down in front of a blank computer screen, knowing I can take myself on any journey I want. The worst part is editing. I love writing the rough draft and letting my creative juices flow. It’s hard to then go back and tweak things, check for sentence structure and grammar and stuff. It doesn’t feel creative at that point –it just feels like work. I have a wonderful husband named Andrew, and two kids – Eli who is 12 and Kayleen who is 9. They keep me pretty busy with sports and extracurricular activities. Outside of writing, my other hobby is singing which I do on a regular basis at church. What are three things you wouldn't want to do without (besides the Bible, food, and family)? Novels, music, and my friends. I’m currently loving John Mark McMillan’s new album, “Economy.” All the songs on it are great. I love Alice Hoffman. I think her writing is so haunting and enchanting. The way she strings words together is absolutely breathtaking. Jodi Picoult is another favorite. For thrillers, my favorites are Ted Dekker and Frank Perretti. That’s a tough one because I have so many. I love Isaiah 40:30, 31 – Even youths grow tired and weary and young men stumble and fall, but those who hope in the Lord will renew their strength. They will soar on wings like eagles, they will walk and not grow weary, they will run and not be faint. I’ve loved that verse since I was a little girl. When we trust in God we find hope and strength. It’s such a powerful message. I also love all of Ephesians 3. I pray it often as a reminder of how much God loves and cares for us. Are you currently working on any new novels? If so, could you tell us a little about it? 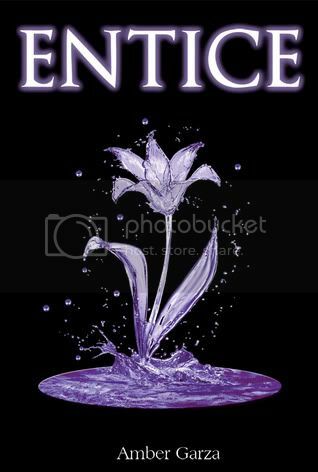 I just finished the second book in the PROWL trilogy – ENTICE. It’s due out by April 2012. 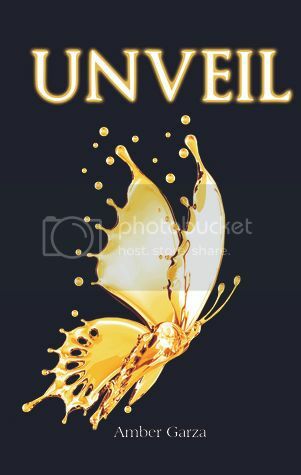 I’m just starting to work on UNVEIL, the final book in the trilogy. Thanks so much for being here! Where can we find you on the web? Enter to win a copy of Prowl! This giveaway is only open to the US. Great interview! I've never heard of this author but now I'm really intrigued! Thanks for the chance to win! I enjoyed reading this interview. This sounds like a great book! I would love to win a copy. Thanks for the chance. I have not heard of these books, but the Prowl trilogy sounds very interesting! "My goal with my novels is to write books full of suspense that entertain, but ultimately give the reader a sense of hope and truth." LOVE that response! Please enter me and best wishes to the others, Prowl sounds great!! Awesome interview too! The covers on these books are so unique. I like them. I love the covers and I've been wanting to read this trilogy! This is a new-to-me author and this series sounds intriguing. I have added all 3 titles to my to-read list. Thanks for doing this giveaway! The covers are all fabulous, simple and elegant! Thanks for the chance to enter this giveaway. Sounds very intriguing! Enjoyed the interview - it's always great to learn about a new author. Sounds very good - thanks for the giveaway! This book sounds interesting. Thanks for the interview & giveaway. Great interview! I had never heard of this author, but her work sounds interesting. I forgot to leave my Rafflecopter name with the above comment. On Rafflecopter, it's Tammy Ford Cuevas. Thanks for the giveaway. It sounds so interesting! Weekend Report (#27) and Giveaway Winners! 24 Hour Read-a-thon - Second Update!! Weekend Report (#26) and Giveaway Winner! Weekend Report (#24) and Giveaway Winner!